Edging closer Mo! They are so beautiful; delicate; fragile, resilient…They make me want to turn pages gently and slowly already…enjoy the preparation of covers and the binding; what a treasure this book will be. (((Fiona))) the lucky last no XIII is happening this morning after another cup of coffee! 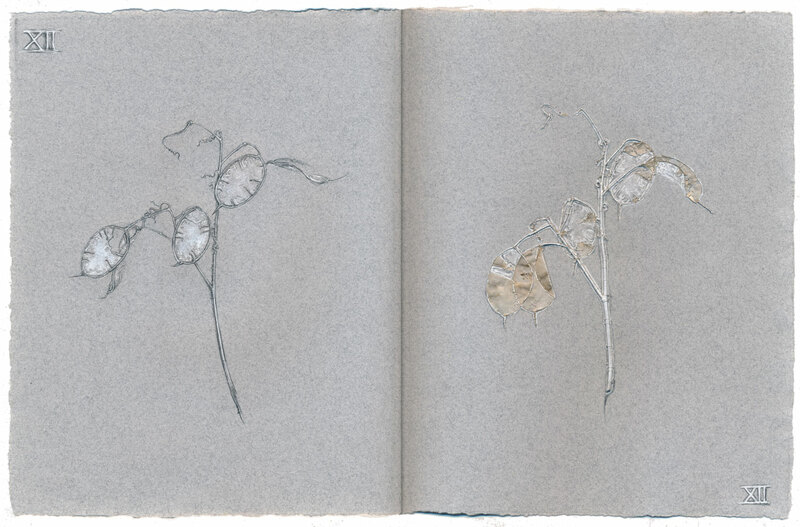 I am so with Fiona in taking in the beauty of each set of pages..and finding myself always amazed at the resiliency of the plant material to stitch. Your work in ink is amazing.